Agents of SHIELD seems to have some crazy things up its sleeve for season 5, and now we know what the titles of the first two episodes are. Season 5 of Marvel's Agents of SHIELD will kick off with a two-part episode titled Orientation Part One and Part Two, most likely referring to the insane circumstance the team now finds itself in. The foundation of that was set up in the season 4 finale, which saw Coulson and most of the team abducted from a diner and taken to space. Fans got a taste of what's to come at New York Comic Con, as the first 20 minutes of footage was shown to fans. Spoilers incoming for that footage, so if you don't want to know you can turn back now. You can read the full recap of that footage here, but to summarize Coulson wakes up in the midst of chaos on a space facility. One of his allies is sucked into space after the ship's glass is broken, while the other person with him says the ship is full of the alien-like creatures they are battling. 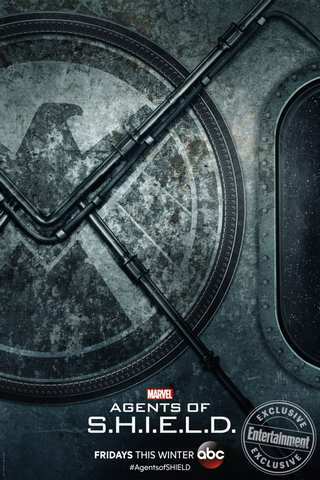 Eventually, Coulson is joined by Mack, Yo-Yo, and Simmons, but not before more humans are attacked by the creatures. One of those is taken down by Daisy Johnson, and the group soon learns that they are referred to as legends in history, signaling that this takes place in the future. May is also on the ship but is busy encountering another mysterious figure. By the end of the footage, it is revealed that Fitz is the only one not taken, as the aliens say "he isn't on the list." In this case, that's probably a good list not to be on. Orientation Day parts 1 and 2 will air as a special two-hour premiere, and fans can catch the episode when it airs on ABC on December 1st.